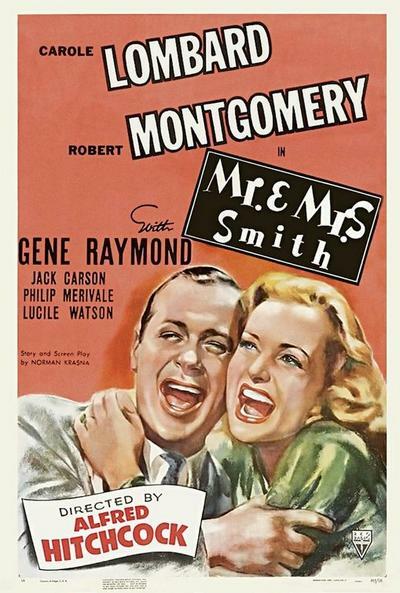 Mr. and Mrs. Smith represented a change of pace for director Alfred Hitchcock. 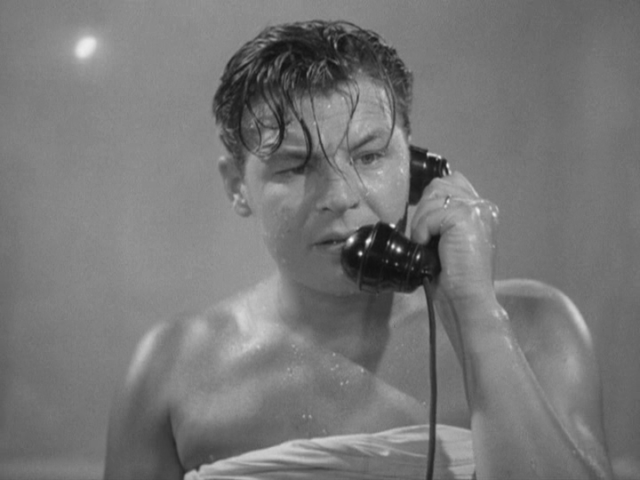 Out of his 50+ films, this one was his only comedy. Sure, The Master of Suspense usually added humorous touches to all of his films, but Mr. and Mrs. Smith was his only out and out farce. 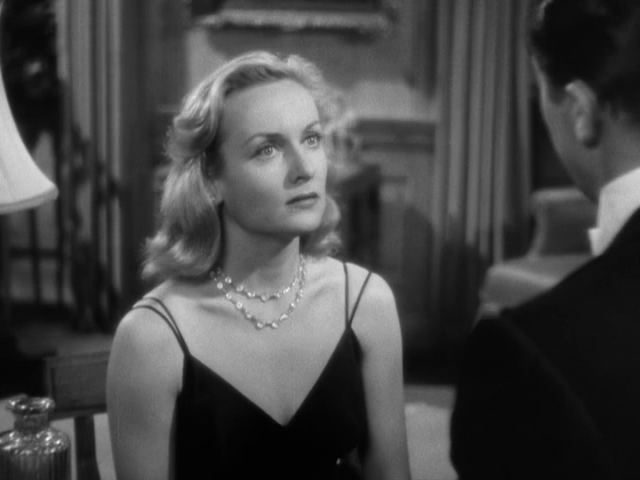 The plot revolves around the Smiths, an otherwise happily married couple (Carole Lombard and Robert Montgomery) who have a shocking conversation over breakfast in which Mr. Smith reveals that if he had to do it all over again, he wouldn’t get married. This sends Mrs. Smith into a huff and she starts PMSing on him. 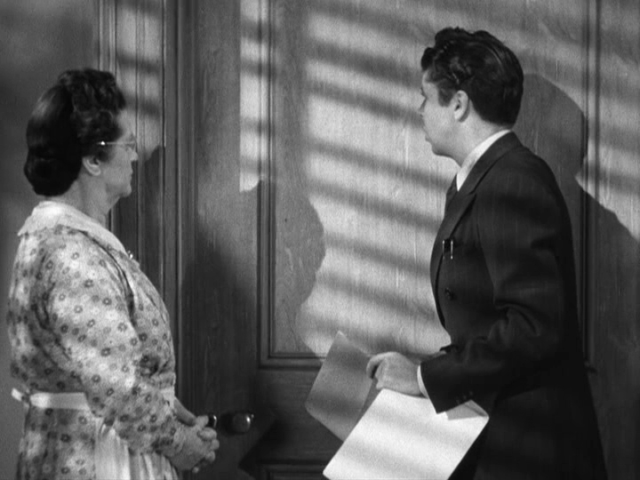 Then the Smiths learn through some contrivance that their marriage isn’t legal and after Mr. Smith doesn’t propose right away, Mrs. Smith goes into a snit and starts seeing other people. From there, the couple vie for each other’s affections by making the other one jealous until they finally realize they’re still in love. 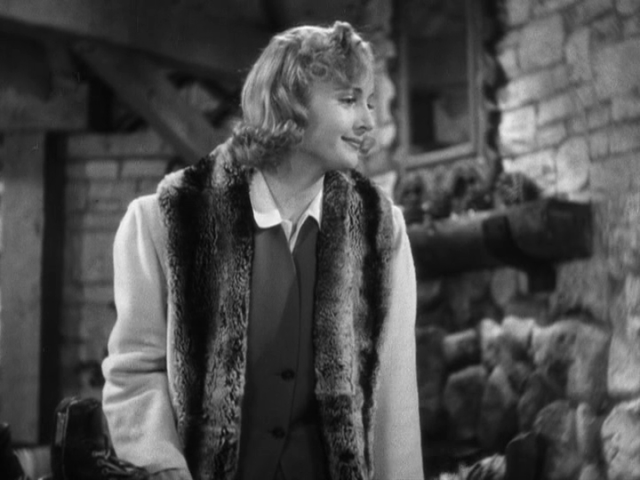 Hitchcock only directed this flick as a favor to his good friend Carole Lombard. 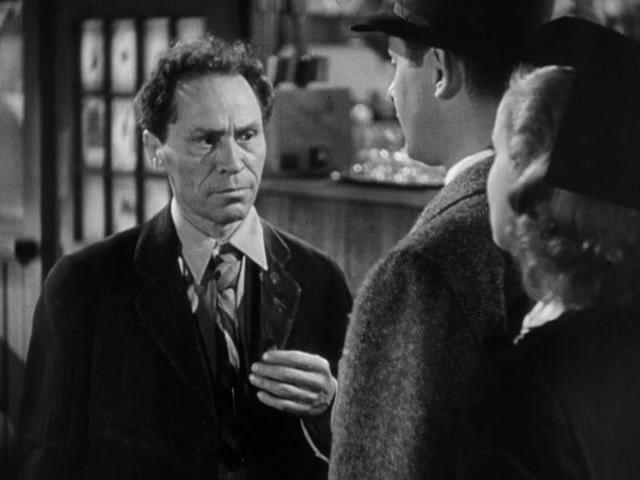 Because of this, and the fact that comedy isn’t exactly Hitch’s forte, the film carries few of The Master’s trademarks. Mr. and Mrs. Smith doesn’t really work as a Hitchcock movie and it works even less as a screwball comedy. In fact, the film isn’t really screwy at all. The final act of the flick, which takes place in a snowbound cabin in the woods, doesn’t fit with the rest of the film and really slows the comic momentum down to a crawl. The film does engage the audience in fits and starts (mostly due to the chemistry between the two leads) but never really comes to life and is rarely laugh-out-loud funny.